Review Written by: Jessica C.
City of Fae combines the popular fantasy genre ingredients of magic, London, forbidden love, and incredible fight sequences. Add in the young adult extra of a rockstar and you have yourself the start of what promises to be a good story. The story weaves the tale of the recently fired reporter Alina and her run in with the rockstar Reign and what happens after just one touch. Reign is the bad boy rock star that is rich, hot, and Fae. So of course Alina has no choice but to try and get the story on him and the Fae. Her nature as a reporter has her going through all kinds of situations where she gets herself in tough situations and Reign has to come save the day. Damsel in distress syndrome any one? I have to say this was one characteristic of Alina that drove me up the wall. In so many situations until she realizes she isn’t who she seems, Alina was always in the damsel in distress scenario. If it wasn’t Reign coming to her rescue and then scolding her with flirtations and searing kisses, it was Detective Andrews feeling sorry for her and giving her puppy dog eyes. I don’t mind the New Adult/YA romance genre but sometimes the forbidden love aspect of City of Fae seemed quite strained and forced. Eventually the pace of their slow burn desire for each other finds a good rhythm and DaCosta doesn’t have the romance and desire bit of the story shoved down the readers throat. Thankfully the reader is instead introduced to the Under of London, the domain of the Fae, and revelation of the Hound, the Hunter, and the Queen. The action was well paced, and I started to really enjoy the fight sequences when Alina started to come into her own. I found the Greco-Roman references to how the Fae came about refreshing and a unique twist on the Fae. 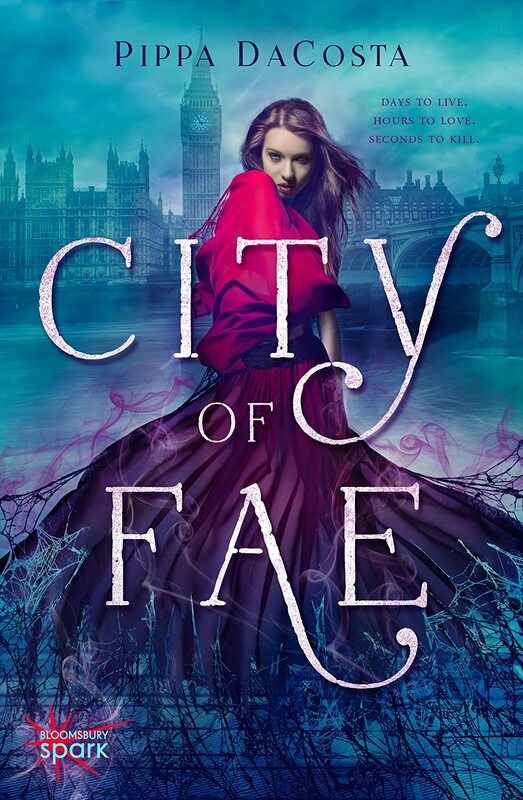 City of Fae ended in a way that makes me intrigued to find out what will happen next for Alina and Reign. While the book wasn’t my favorite, it was an easy and fun read. I only hope that if there is a follow up book to City of Fae, DaCosta considers telling more of the pre-story of the characters, especially some of the minor characters like Shay. For the readers out there that want a fresh interpretation of the Fae with a hot rockstar Fae and an inquisitive heroine, this just may be the book for you. I have never read any of DaCosta’s work and for me it didn’t sell me on wanting to read anything else she’s written but I will leave it up to you readers. Until next time… happy reading! Hmmmmmm. I might read this only for the Fae element, since I’m doing “market research” for my own fairy novel. But I’m also not keen on damsel-in-distress protagonists. It kind of defeats the purpose of calling the heroine, well, a heroine.